While the innocuous nature of chairs could’ve condemned the exhibit as boring, it was rather used as a strength. The banality of objects such as chairs also allows them to especially bear the stamp of their respective times. Through endless episodes of Frasier (thanks Netflix) I find myself fixating on the props. Specifically on a single prop, near the back of the living room, a single chair and matching footstool that exudes an uncanny quantity of comfort. Similarly, the ubiquity of chairs can relegate them to becoming background props in real life as well: I can easily forget I’m sitting in one while I type this. That “background prop”, though, was designed by Charles and Ray Eames; perhaps America’s greatest designers. 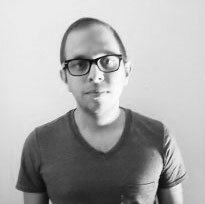 It had roots in New York’s MoMA, made of materials born out of necessity and war time innovation, and offered a new middle class comfort and aesthetic that it was previously not allowed it. Arguably, this “background prop” helped invent the image of the American middle class. 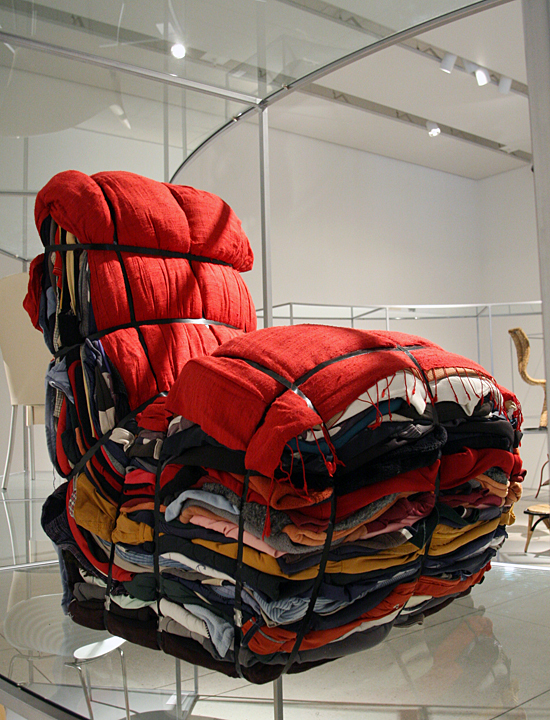 And it’s one of 100 in the Tampa Museum of Art’s current exhibit A Hundred Years – A Hundred Chairs. 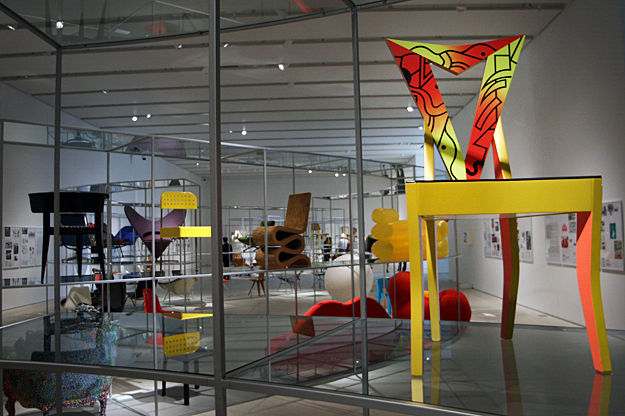 The exhibit features 100 chairs from the collection of the Vitra Design Museum as a survey of 100 years of design. Predictably, the survey serves to illustrate modern design and its evolution throughout the 20th century. However, the exhibit does much more than that. 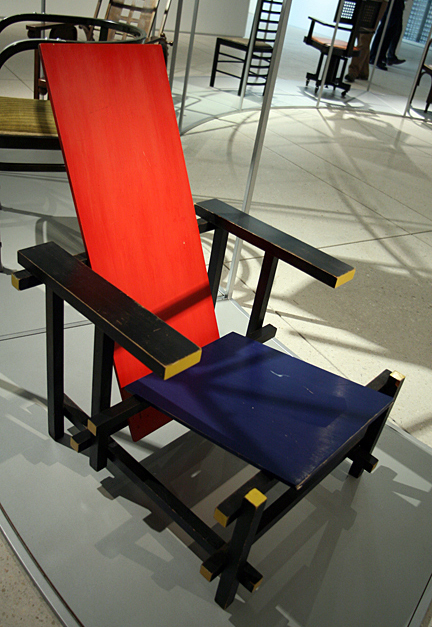 While the innocuous nature of chairs could’ve condemned the exhibit as boring, it was rather used as a strength. The banality of objects such as chairs also allows them to especially bear the stamp of their respective times. 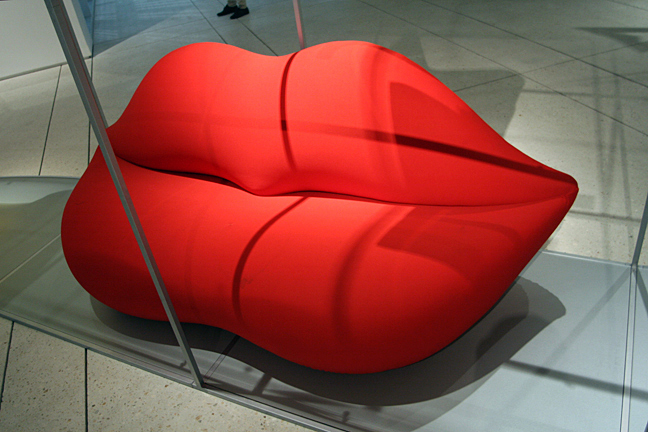 Each chair doesn’t so much express its context as much as it involuntarily manifests it. A Hundred Chairs does an excellent job of highlighting this. For example, the exhibit addresses the socio-political views of plastic as they evolved throughout the 20th century. That is heavy. Plastic begins to appear at one end of the gallery, not only as a technological advance but also as a rebellion against modernism and continental design. Near the other end, it begins to disappear with the onset of the 1970’s oil crisis. 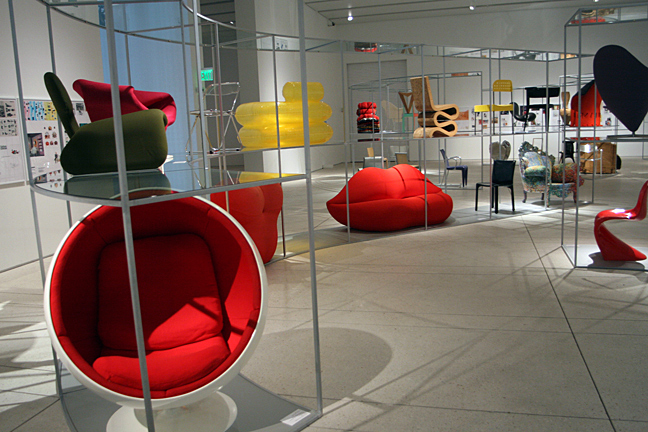 The exhibit asks us to revisit the aesthetic of chairs. Each section clearly shows fascism, capitalism, environmentalism, prosperity and poverty, war and peace emerging into the design of the furniture. In a way, it implies an invitation to pick up where A Hundred Chairs leaves off, to deconstruct everyday design. While simple furniture, the chairs are presented as thumbnails to the world scene that created it. In a way these chairs do make good background props, subtle reflections of the world that needed them. They may not be a profound and imposing symbol of the world around them like much of the art that adorns the galleries of the TMoA. The story chairs tell is much quieter and acute. The venue of a museum gives us a chance to read it.